Margaret would like to let you know that her work here is done. She received a call, sort of an offer she couldn’t refuse, for an appointment from which she will not be returning. This assignment comes with a huge sign-on bonus, a reunion with family and friends that she has not seen in a long time. Her new life takes her to a wonderful place, where she will be socializing, dancing, playing bridge, golfing and painting. Music, laughter and love are guaranteed. Food is delicious and you never gain an ounce! She was born in Puyallup, Washington July 2, 1934 to wonderful parents, Hyrum and Mona Spear. She was a princess among her two older brothers, Gene and John whom she cherished. She then met a handsome soldier, Jesse R. Matthews, on a blind date who became her life long love of 62 years. Then the excitement began with three daughters, Julia, Lisa and Susan. They were a challenge and a blessing all at the same time, never a dull moment. Margaret retired from the Bank of Utah where lifetime friends became family. 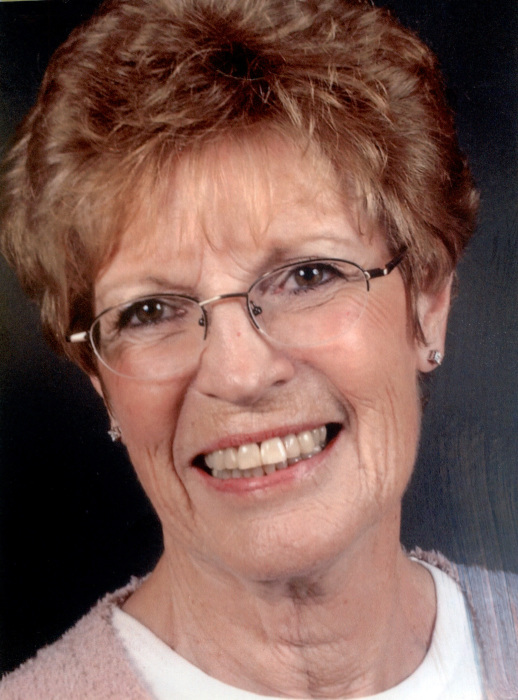 She cherished her relationships with her work for the March of Dimes and Race for the Cure. She loved to play bridge and was a lifetime member of PEO. She worked hard and played hard, loved to golf, paint, and created many beautiful treasures that we all adore. Margaret will be so missed by her husband, Jesse R. Matthews, her daughters, Julia (Mike) Bourassa, Lisa (Larry) Lewis, Susan (Jay) Drescher. Grandchildren Jessica (Christi), Matthew (Taylor), Justin, Erin (Adam), Hanna, Jonathan (Alex) and Madison, with a new addition of a great granddaughter, Josie. She was greeted by her mother, father, brothers and AJ. Hopefully she is getting into trouble with Maxx! We would especially like to thank all those that have cared for her on the Orchard Ward at Peach Tree, Bristol Hospice and all the family and friends that have visited and kept her in their hearts.